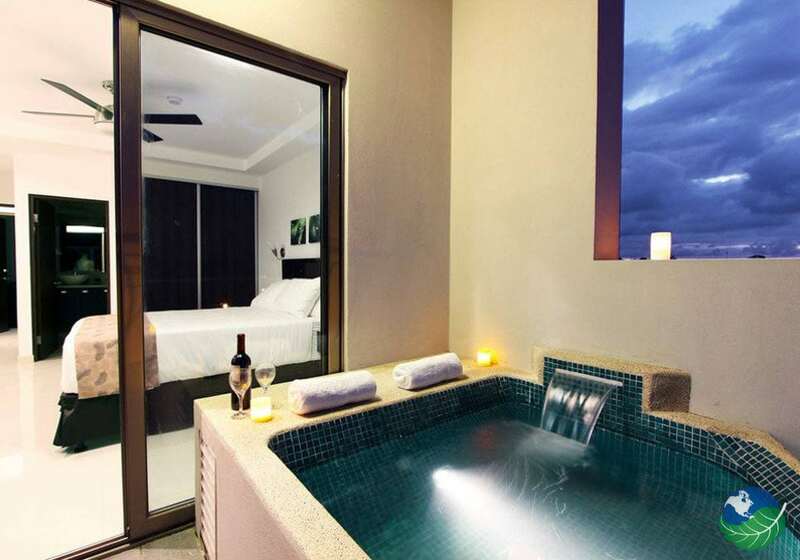 Oceano Hotel Costa Rica offers nine varieties of luxury suites. The suites are beautifully assembled to illustrate comfort and sophistication. 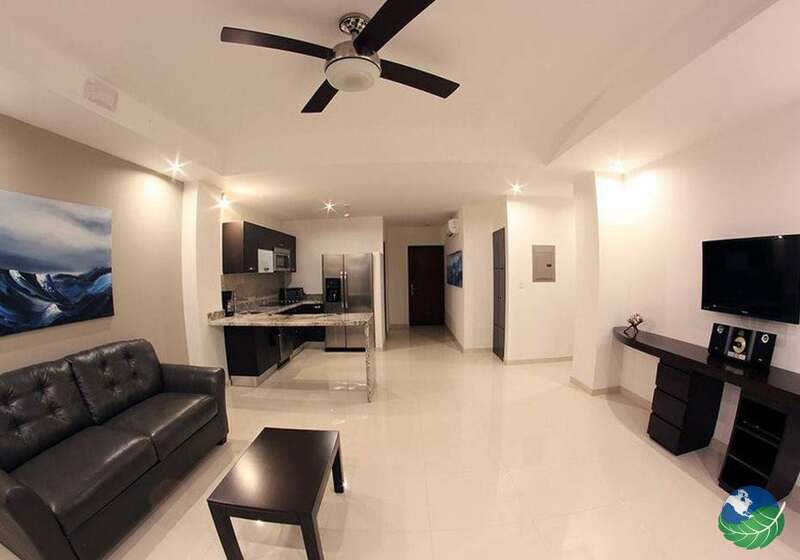 The lavish Indian Penthouse accommodates 5-8 people and is perfect for large groups. This 3-bedroom 4-bath penthouse is a slice of heaven! 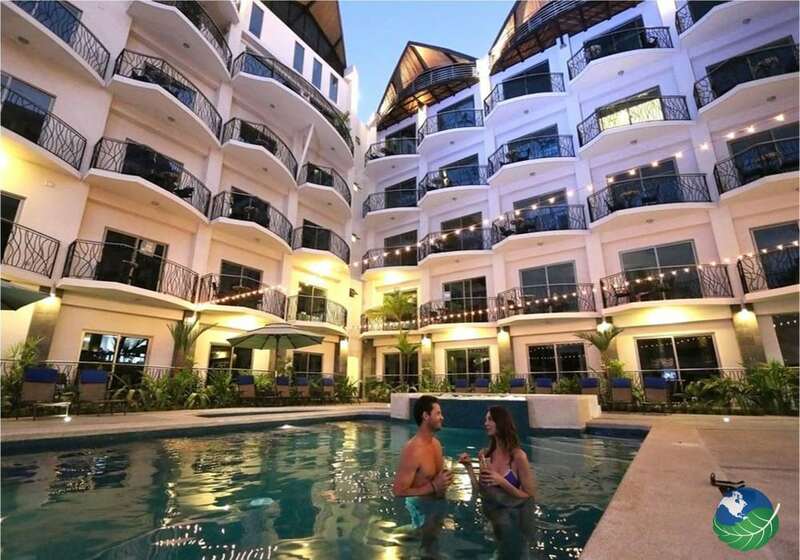 The expansive balconies have private spa pools for you to indulge and relax as you wish. For smaller groups, take advantage of the Pool Suite. 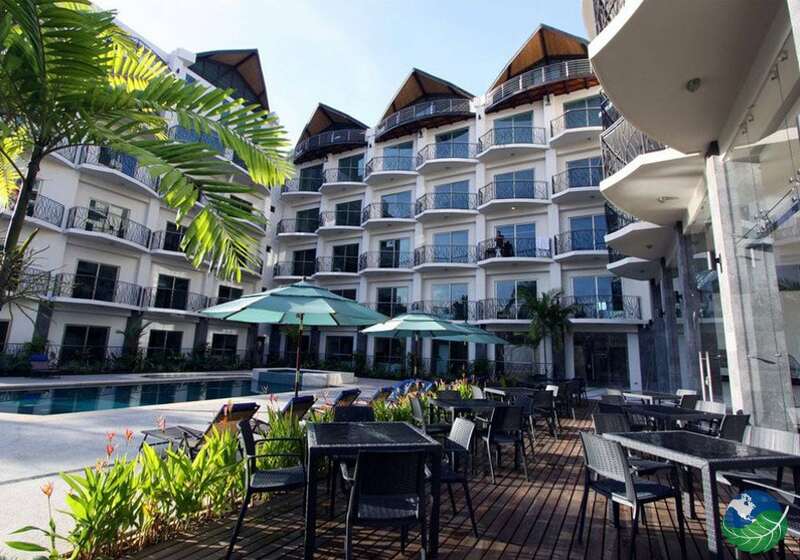 It is suitable for 2 -4 people and also equipped with a spa-pool in the balcony. No matter what suite you decide on, your expectations will be met! 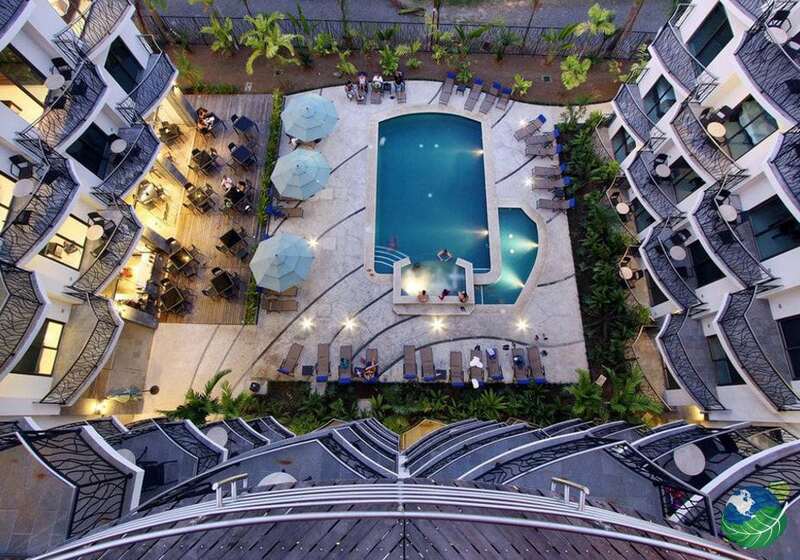 Oceano Hotel in Jaco, Costa Rica will sweep any art collector off their feet. This stunning hotel is home to over 400 original art pieces from national artists. Surrounding the property, you will have the opportunity to marvel at the displays as you simply stroll through or even in the comfort of your suite. The Deep Gallery is a must visit part of Oceano. The gallery showcases a different artist or collection each month and offers stimulating art activities for children as well. Oceano is an artist’s paradise! 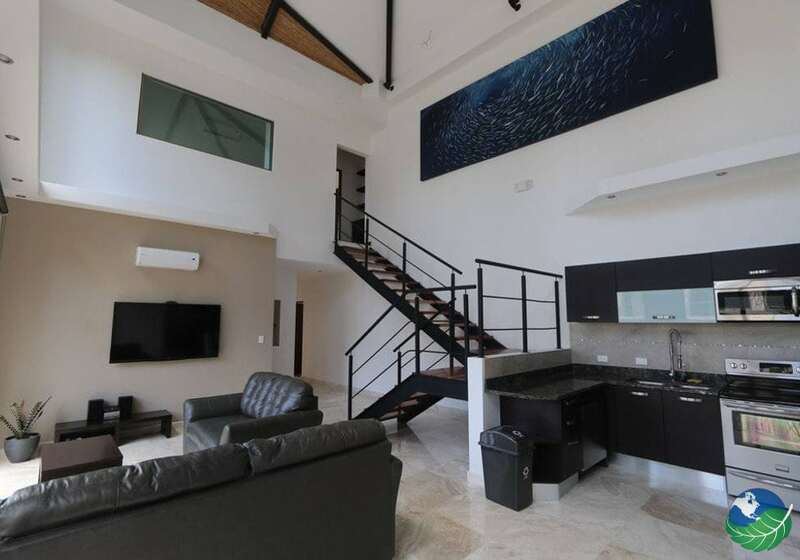 Conveniently located in Jaco Beach, transportation and activities are greatly facilitated. Jaco beach is an animated and bustling beach that attracts visitors year-round, therefore, you will have plenty to keep busy. Surfing is a main attraction in the area, so go ahead, and enjoy the sweet waves of Jaco! Other tours available in the area are ATV, mountain bike riding, and zip lining. Just an hour away, you have the opportunity to visit Manuel Antonio National Park. This slice of heaven is absolute utopia. 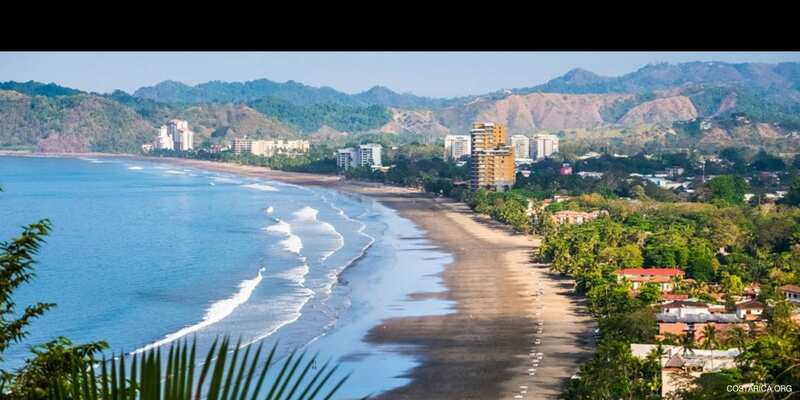 With its spectacular beaches and tropical forest landscapes. You will not believe your eyes as you witness the abundance of wildlife in this reserve. Jaco. Favorite. Beachfront Spa, Pool, Restaurant, Bar / Lounge. TV, Phone, Safe Box, Hair Dryer. Concierge, Room Service. Jaco. All Inclusive, Beachfront Spa, Pool, Beach Club, Restaurant, Casino, Shop. TV, Phone, Safe Box, Hair Dryer. Laundry Service, Concierge, Room Service.